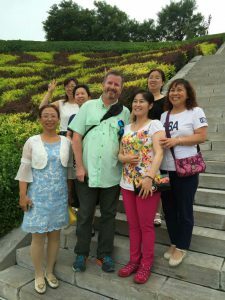 Teaching English in China is a great way to make friends and build relationships with your fellow team members and your students. It’s part of why you are in China. David and Ann know this from experience as they have annually met Ann’s Class of 1993 when they go to Hangzhou each August. Decades of sharing about each other’s families and lives because Ann taught at the Hangzhou Institute of Education for one month in 1993. Graduations, weddings, family deaths, children going to university, retirements. These friends are more like family even to each other. 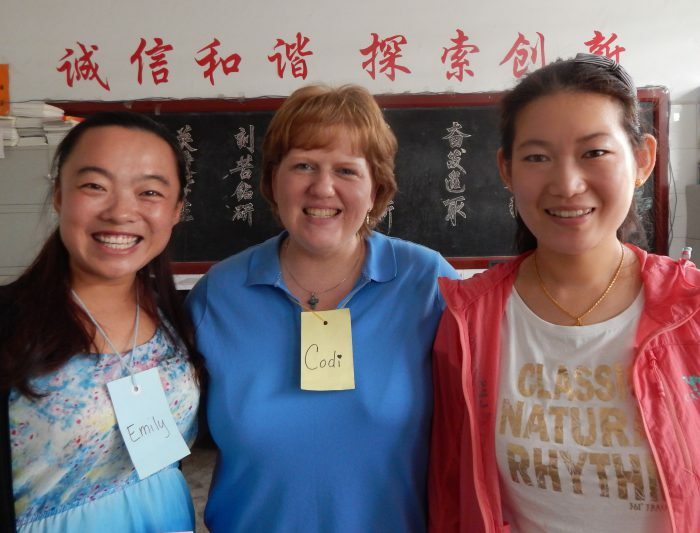 Many of the Volunteers for China programs have Chinese English teachers as the sole participants. These teachers become your “students” as you facilitate their English improvement. They are adults with the ability to interact with you both in and outside of the classroom. If invited, go to their individual schools and meet their co-workers. For lunch, if time allows, go to the little “mom and pop” noodle shop around the corner from the school. Go with a student and climb Laoding Mountain to see the statue of Yan Di, thought to be the father of Chinese agriculture. Window shop. Sit in Ba Yi Square and visit sharing things of importance with each other. Your teacher-students will have great respect for you because you gave up the comforts of home to come and help them improve their spoken English. VFC programs also often include college/university students who want to be better English speakers. Though younger than most of the American teachers, these students are excited to learn about America (the name by which they know our country). They will try to be hosts to you by taking you sightseeing around the city. They will want to spend extra time with you in order to improve both their listening comprehension and speaking. In some rare cases, VFC will work with junior high and/or senior high school students. Games, songs, and activities are all ways to connect with these young teens. Though outside of class these students generally go home, they will be happy as you work with them during class. Be active; be fun! They will want to come daily. As in all cultures, people will watch your actions. That’s how they know who you really are. “You’re a Christian; act like it!” That’s the bottom line.